Lean 70s genius from the great Gabor Szabo – a set that has him electrifying the sort of vibe he created on Impulse Records in the 60s – but all without ever sounding too slick or commercial! The group here is nice and lean – supervised by Bob James, who plays piano and organ, alongside more Rhodes from Mike Wofford – with bass from Wolfgang Melz and drums from Bobby Morin. 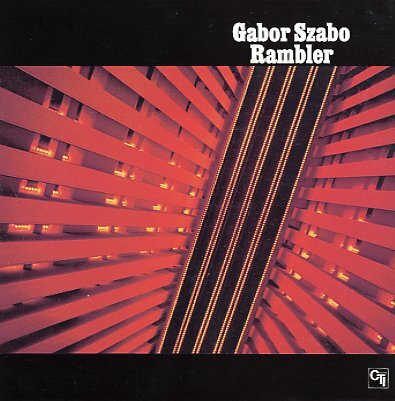 Without any larger charts or horns, there's lots of focus on Gabor's work on the guitar – and his sound is amazing throughout – extremely deft and inventive in his solo style and phrasing, much more upfront than on some of his later soul-influenced albums in the latter half of the 70s. Titles include "Rambler", "New Love", "Reinhardt", and "All Is Well". © 1996-2019, Dusty Groove, Inc.